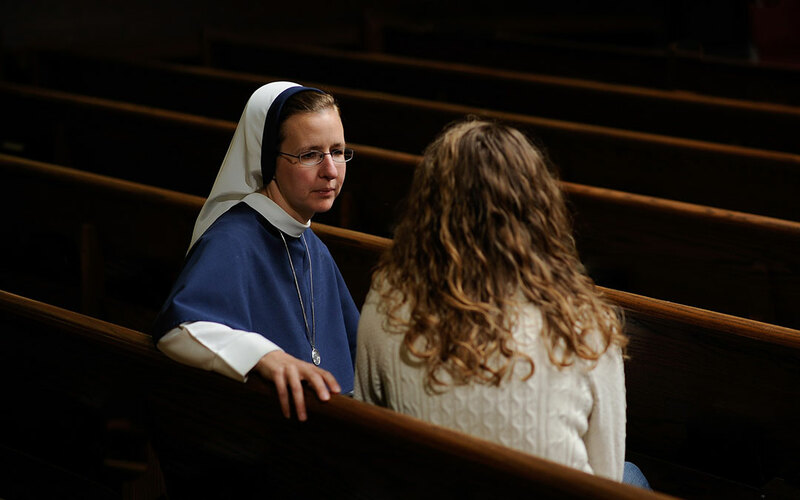 What Is My vocation & How Do I Discern It? Fr. Joseph Mary Brown was born in Bardstown, KY, the third of seven children. He graduated from Christendom College in 1985 with a B.A. in Philosophy. In 1991, he joined the Congregation of St. John (an active-contemplative Community founded in France in 1975) in Laredo, TX, where he did his Novitiate. From there, he was sent to France to continue his formation, and in 1996, he was sent to their house in Peoria, IL. Ordained in 1997, Father currently serves as the Superior of the Community’s English-speaking Novitiate House in Princeville, IL.